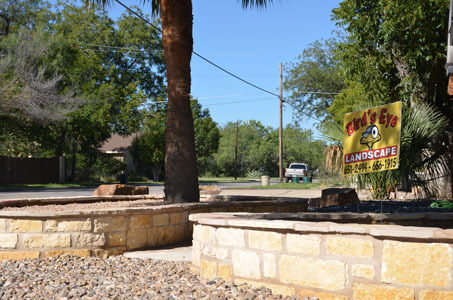 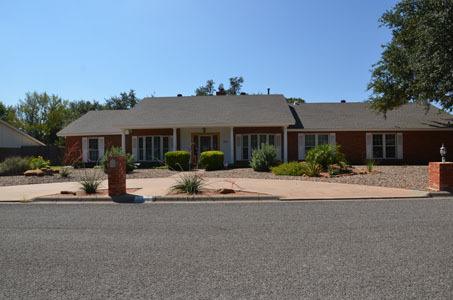 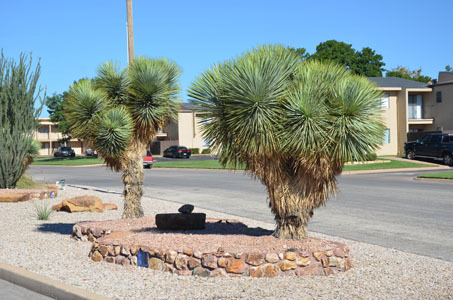 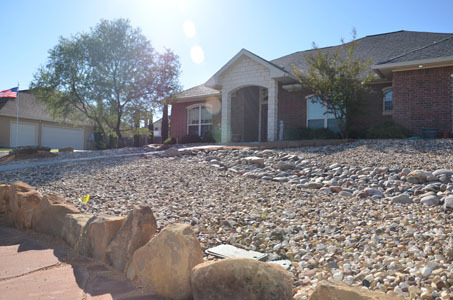 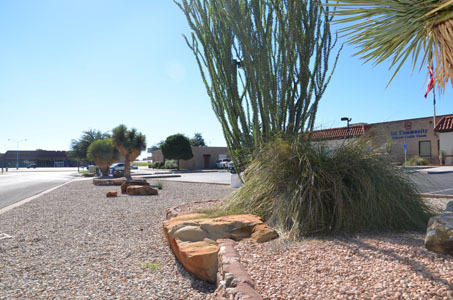 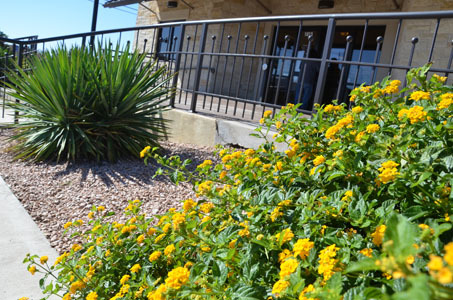 Bird's Eye Landscape has been creating beautiful yards around San Angelo, TX since 1988. 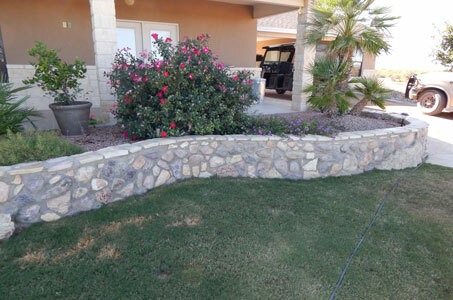 We offer a wide range of lawn care services such as mowing, edging, hedge trimming, flower bed maintenance, irrigation repair, tree trimming and laying sod. 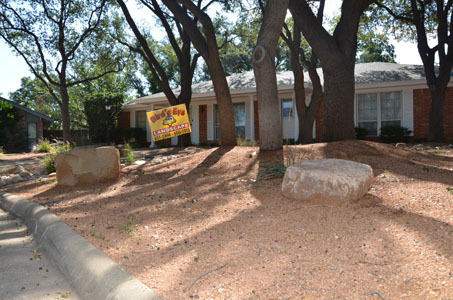 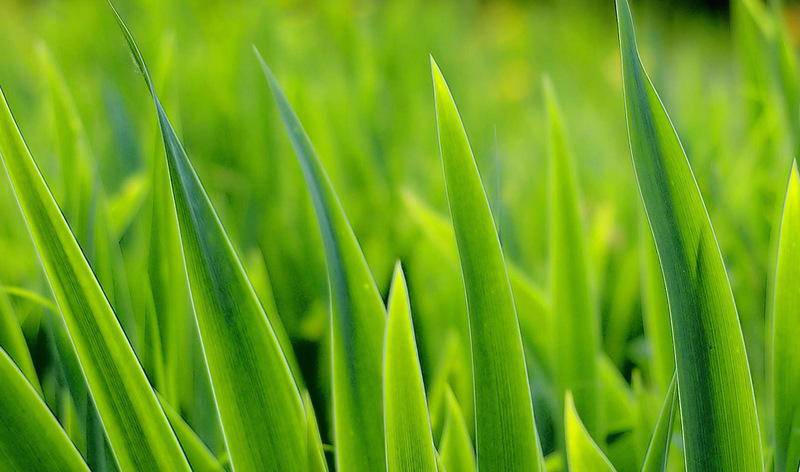 We take pride in the fact that we maintain some of the best looking lawns in town. 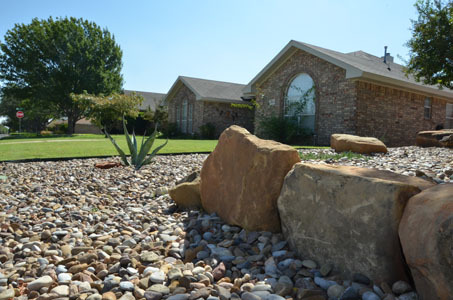 In addition to our expert lawn care services, we also offer a wide range of xeriscape and traditional landscaping services. 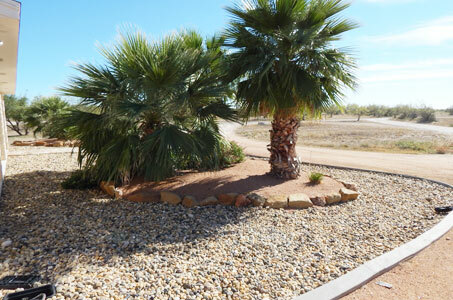 We specialize in low water Xeriscaping, or if you prefer a more traditional look, Bird's Eye also specializes in traditional landscape design. 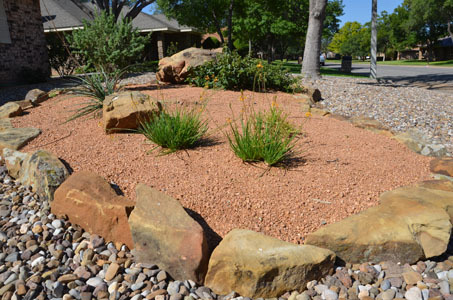 We can revitalize your existing landscape with new improvements, or we can completely reimagine your landscape to your exact specifications. 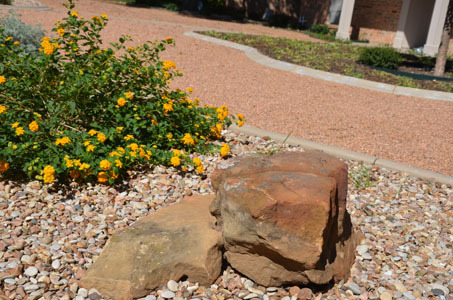 Regardless of your landscaping style we offer a wide selection of stone and plants that you can choose from to create your perfect landscape. 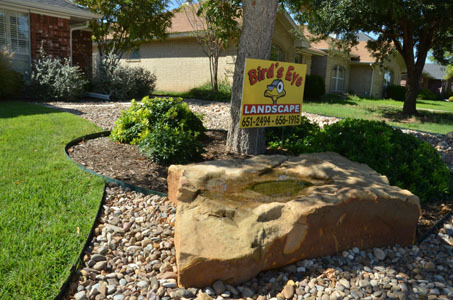 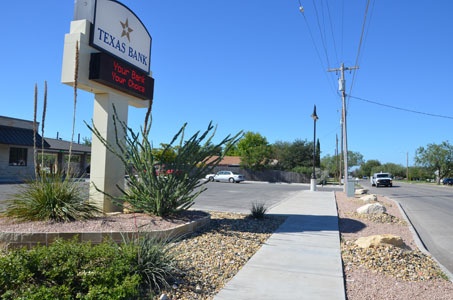 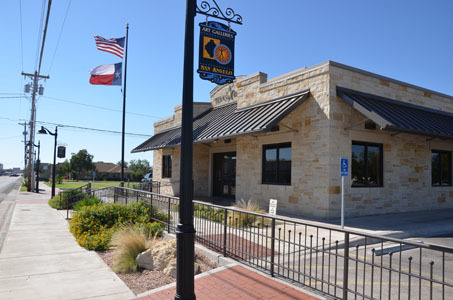 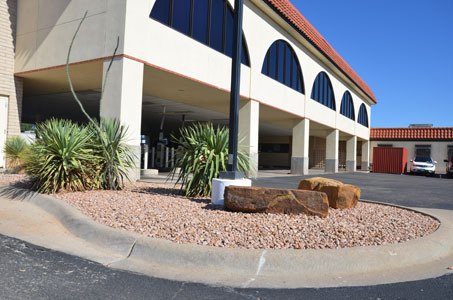 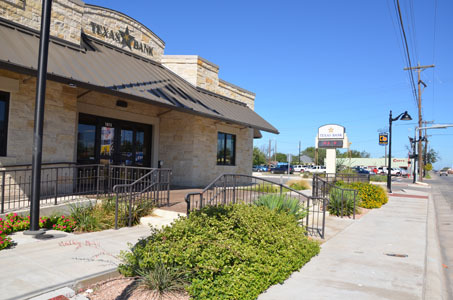 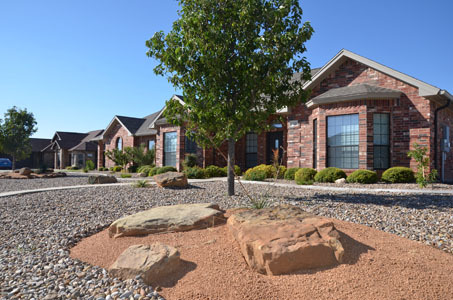 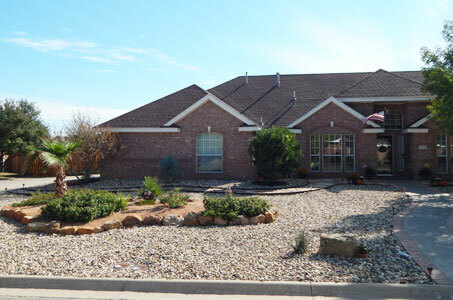 Bird's Eye Landscape is owned by Brent Pfingsten and was voted amongst the "Best of the Best for 2010 in San Angelo." 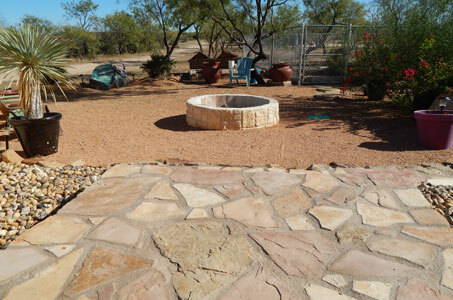 Bird's Eye earned this award through a dedication to creative and quality work at reasonable rates. 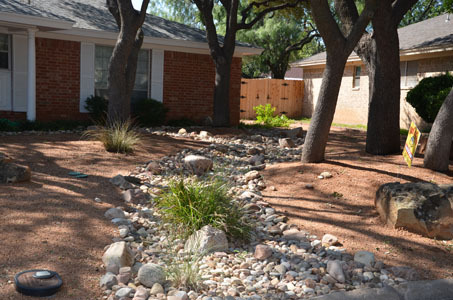 Lawns an gardens require a great deal of year-round maintenance, but more importantly they consume a large amount of precious West Texas water. 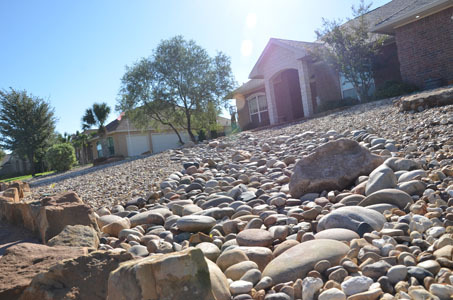 Water conservation is a major concern given the low water supply in our area. 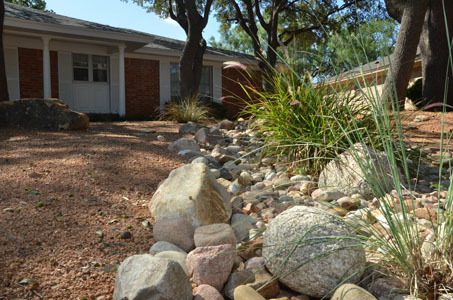 A great way to help reduce your lawn's water consumption is to have Bird's Eye create a custom Xeriscape. 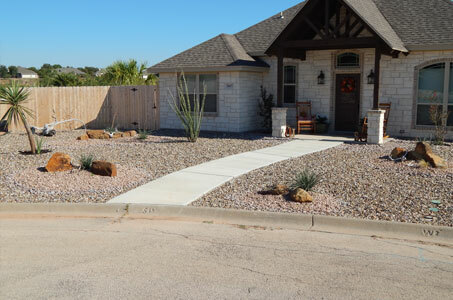 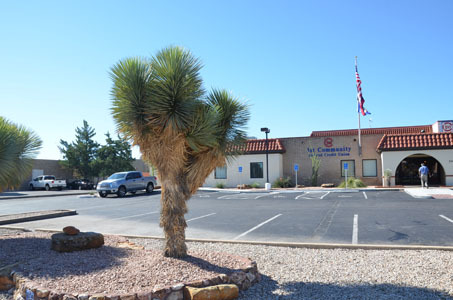 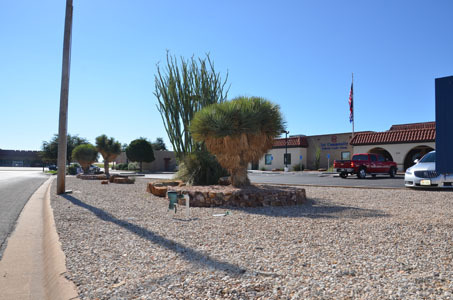 Xeriscaping is a method of landscape design that makes liberal use of stone and drought-tolerant plants to create an appealing, low maintenance landscape. 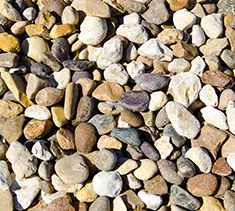 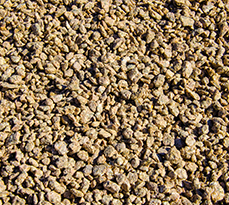 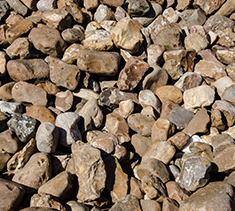 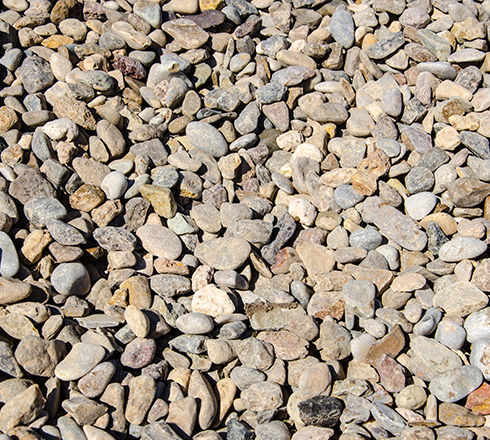 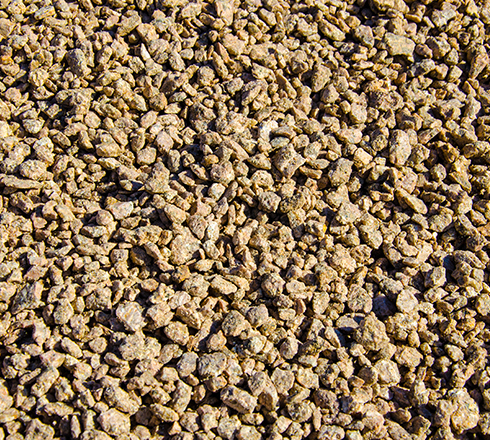 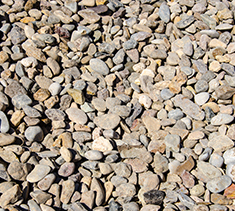 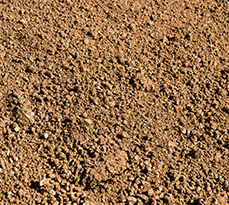 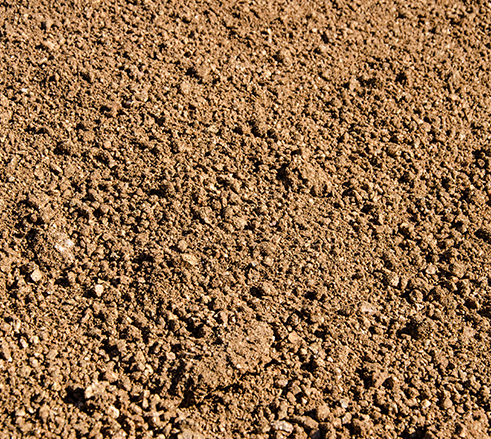 Utilizing various types of gravel is a major aspect of any Xeriscape landscaping project. 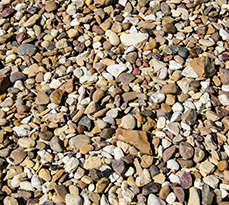 We offer a wide range of gravel in various sizes and colors so that you can find the perfect fit for your landscaping taste. 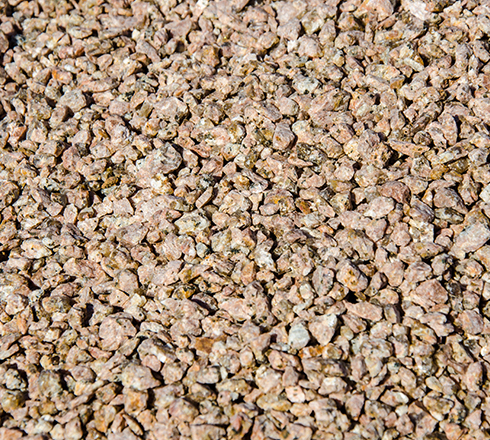 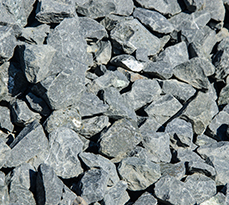 Below you will find a selection of just some of the gravel that we offer. 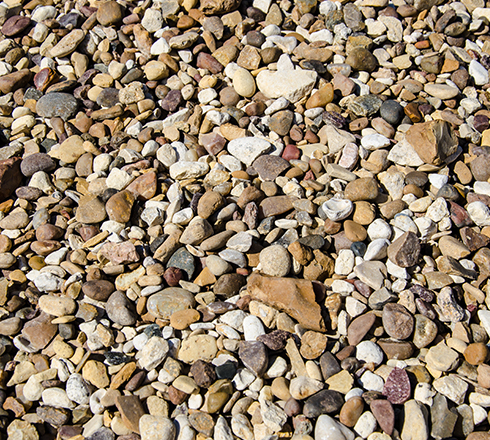 Ranging from 1-3" in size. Ranging from 4-6" in size. Ranging from 1-2" in size. 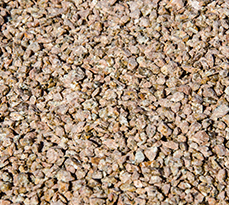 Ranging from 1/2-1" in size. 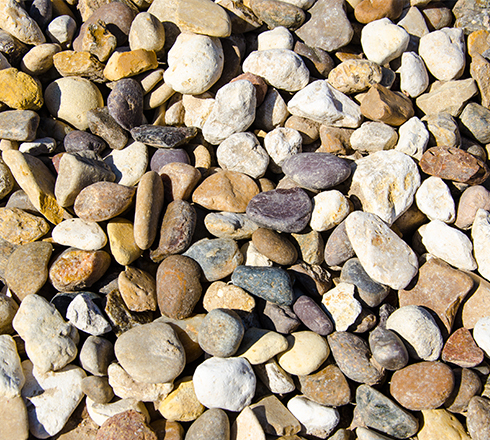 Ranging from 2-4" in size. 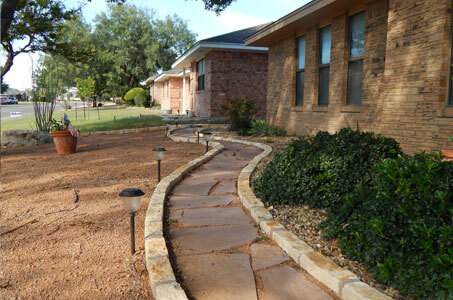 Stone retaining walls, patios and walkways make an excellent addition to any xeriscape project. 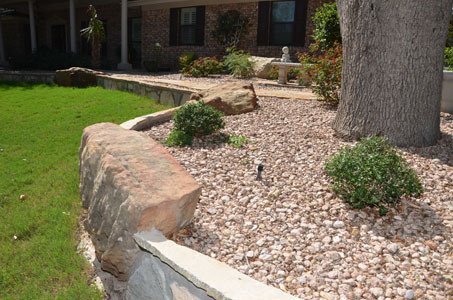 They are also a great way to renovate an existing landscape. 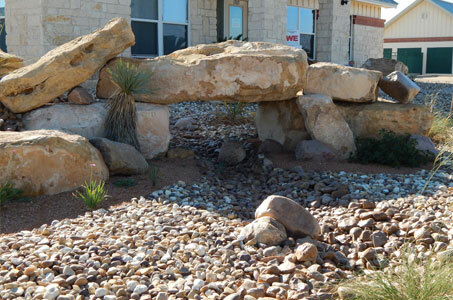 All of our stonework services are custom tailored to fit the specific needs of your landscape. 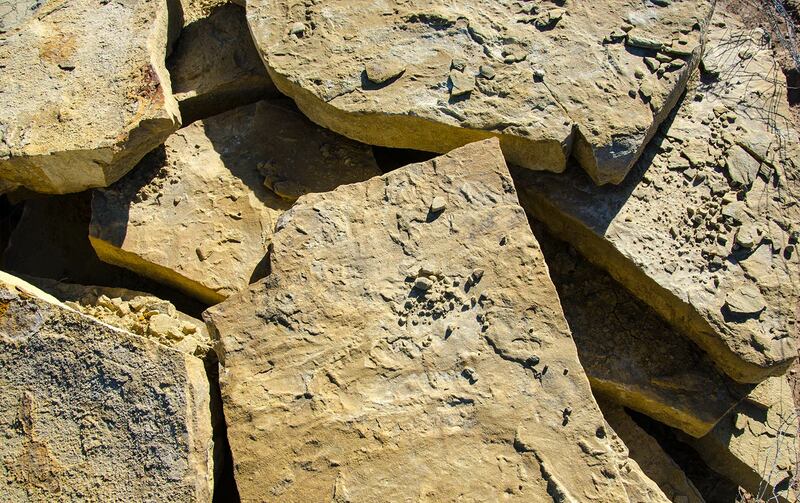 We offer a large selection of natural stone slabs and boulders in various sizes and shapes to help you achieve the perfect look. 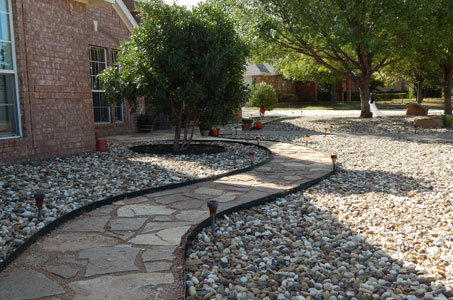 Low maintenance yards or businesses with style! 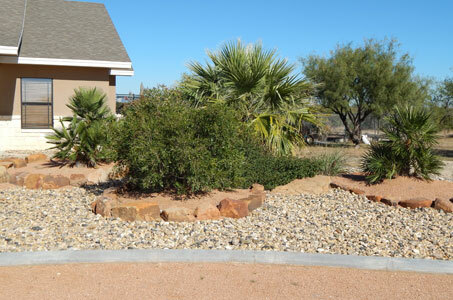 Xeriscaping can include granite, boulders and rocks, desert plants, yuccas, palms and cacti, and still have color. 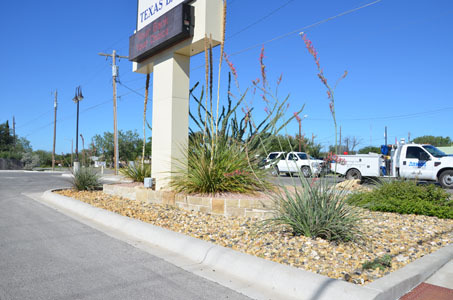 Ask about Xeriscape Landscaping today. 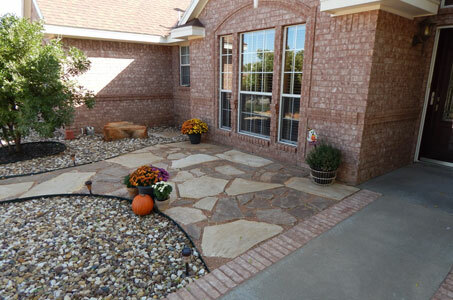 Bird's Eye Landscape can add gorgeous stone features to enhance your exterior decor. 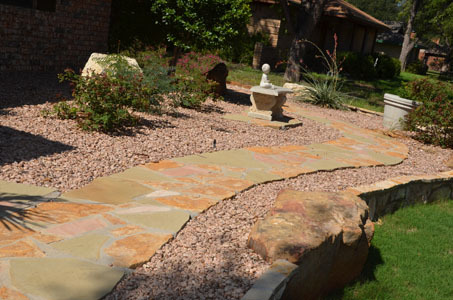 We specialize in stone patios, walkways, and retaining walls but we can also create custom stone features to fit your specific needs. 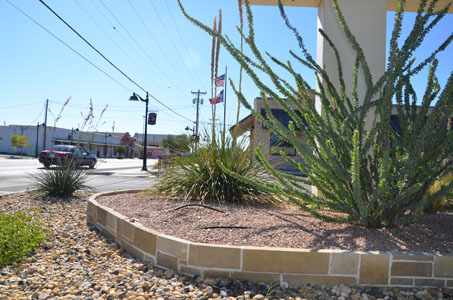 If traditional landscaping designs are more your style, Bird's Eye can lend their creative eye to your yard or business and build a fresh, new look. 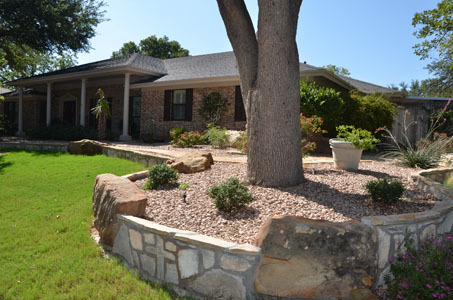 Have your trees maintained for health and safety, and give your yard a new, open feeling with a simple trim job. 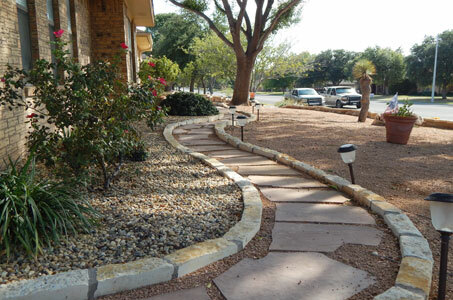 We haul away the debris and all you do is enjoy the new look. 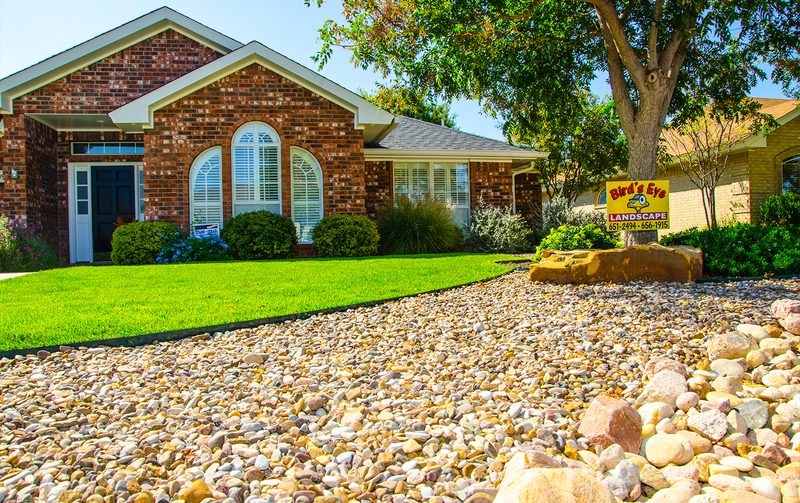 We offer flexible price agreements that can include mowing, edging, hedge trimming, fertilizing, color change outs for annual beds, bed cleaning, irrigation checks and repairs, and gutter cleaning. 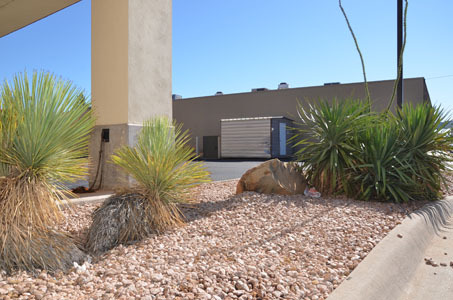 Bird's Eye Landscape can handle large or small offices or commercial type settings on a regular maintenance program.